Missed Grandma’s Classic Roast Recipe? Roaster ovens are compact, portable kitchen appliances that allow you to cook meals that you would otherwise cook in an oven. The Nesco name has been associated with these ovens since 1930 when the company was started in Milwaukee, Wisconsin. The first Nesco roaster ovens were marketed to rural Wisconsin homesteads that had just received electricity. 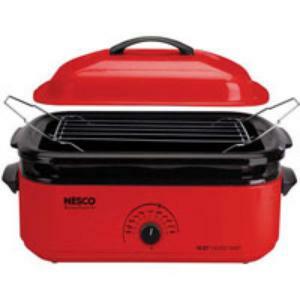 Many older adults have fond memories of a parent or grandparent using a Nesco oven. 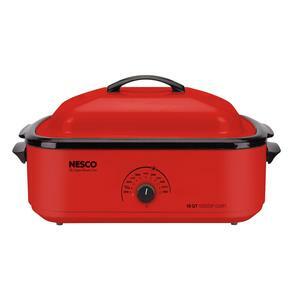 The model covered in this roaster oven review is the Nesco Classic Roaster Oven. 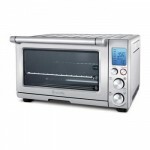 If you are searching for the best roaster oven to free up space in your range oven or to avoid using it altogether, a Nesco product should definitely be considered. Nesco Roaster ovens come with a range of features to make both the cooking and the cleanup process far easier than it would be with a regular oven. The outside of this roaster oven is coated with porcelain and the handles are designed to stay cool. 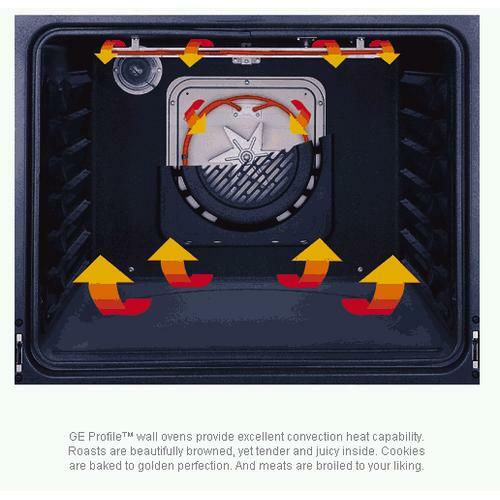 Just like many standard ovens, it has an indicator light that glows as the roasting oven heats up and it goes out when the oven has reached the desired temperature. 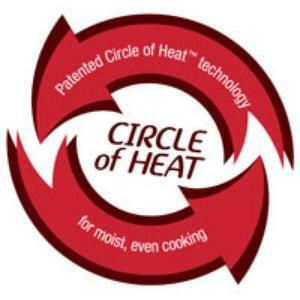 Another feature is the Circle of Heat element that was thought up by Nesco engineers early in the company’s history. 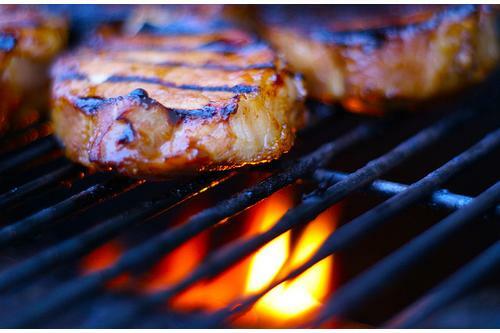 The element cooks from the side, which helps to keep your food moist and succulent. There is also a steel baking rack that allows you to take hot foods out of the oven safely. The cover is made of heavy gauge aluminum, which allows it to control heat and moisture efficiently; it has two vent holes so that steam can escape as you cook. Cleanup can be tedious, especially when you are feeding a large group. 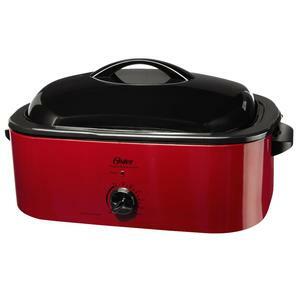 The best roaster oven for someone who cooks frequently should be easy to clean and this roaster oven should definitely be considered if you need this feature. 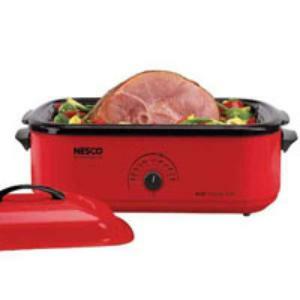 Its porcelain-coated exterior makes it easy to wash or wipe down and it makes the Nesco Classic Roaster Oven resistant to chipping and corrosion; the durability of the finish means that you may be able to use this oven for years to come. The cookwell is also removable unlike older versions, and it is dishwasher safe. The Nesco Classic Roaster Oven’s 18-quart capacity is also suited to cooking in volume, which makes it ideal when cooking for large gatherings and even when cooking in commercial settings. It is large enough for you to cook anything from a whole ham to a 22-pound turkey. 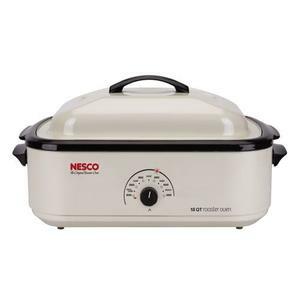 As you read this roaster oven review and look at pictures of the Nesco Classic Roaster Oven, you may start to wonder what makes this appliance different from a crock-pot or slow cooker. The difference is power. Countertop cookers are not all created equal. This oven’s 1425 watts of power makes it far more powerful than the standard crock-pot. 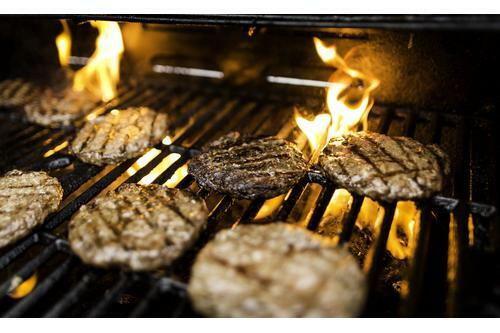 Additionally, you get to select from a range of temperatures from 200 degrees all the way up to 450 degrees. You get to roast or bake at the temperature you select instead of being limited to braising something at “high,” “medium” or “low.” However, you can use your roaster oven as a slow cooker if you want; just set it at a lower temperature and leave it. A look at drawbacks is important for any product review, even a roaster oven review. One of the cons that some users find with the Nesco Classic Roaster Oven is the difficulty of washing it in a typical kitchen sink. Additionally, it may not be the best oven for browning meat as you will have to do it ahead of time on your stove or follow the special instructions in the manual. Another potential con is that you are advised to prepare the roaster oven by turning it to 450 degrees for an hour before your first use. Now that you’ve seen a close examination of Nesco Classic Roaster Oven, it is time to make the call. 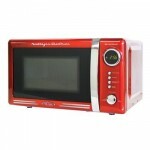 Unlike picking for the best microwave oven where options are abound, picking a winner for the best roaster oven is much simpler given the smaller pool of options to choose from. Nesco has been around for generations. Try to recall all the Thanksgiving dinner events that you’ve ever had. Chances are, you’d have tasted at least a roasted turkey recipe that either your mom or grandma had prepared.